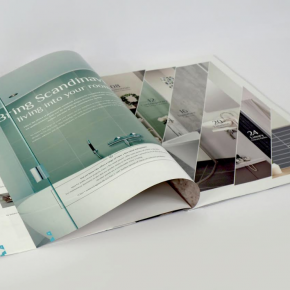 Interior specialist, Gradus, has recently been tackling ‘urban myths’ in its community in nearby West Gorton, Manchester, following the launch of its contemporary carpet range, ‘Urban Myth’. The aim of the project was to increase the biodiversity of the residents’ local environment, but also dispel the myth that people don’t value green space. 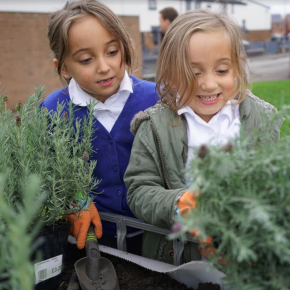 The project saw Gradus give the West Gorton locals the opportunity to get involved in the creation of a pollinator garden; large containers filled with a diverse collection of pollinating flowers. 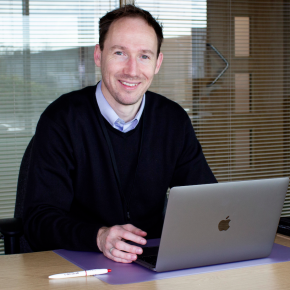 Anthony Roberts, Group Marketing Communications Manager, at Gradus explains: “A project like this helps to transform all-too-rare green spaces and by ensuring that a variety of plants are chosen, we can breathe new life into these areas. We’re also able to create multi-functional, multi-purpose green spaces that appeal to all members of the local community. Gradus worked in partnership with leading communities charity, Groundwork; Manchester City Council and The Guinness Partnership, for the project. 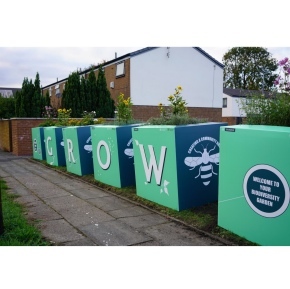 The project enabled local residents to help create the containers which are covered with various educational messages to reinforce both the value of the garden’s creation and its ongoing contribution to the local community.